In such a financial climate of post economic recession and mild austerity, money may seem hard to come by for many Brits. Certainly, those who do receive regular wages find it hard to prevent it from being depleted too soon and so, the art of saving money has become a necessity for most. The ways of saving money are about as numerous as the ways of wasting it, and here are a few tips to prevent the latter from occurring. 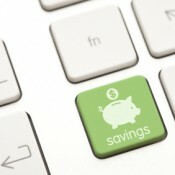 The art of saving money isn’t something that can be done half-heartedly. As such it is to be defined as a lifestyle choice and its first step is being able to say no! Being able to say no is a weapon against wasteful spending that we may need at any point of the day, any time of the year. It is in fact, the greatest weapon we have against wasteful spending. The times we find it hardest to simply say no, are when we’re confronted with deals. Whether it’s buy-one-get-one-free, or three-for-two, you must always ask yourself whether you truly need the products on offer. If not then you’ll just be wasting your money. It’s a sad, sad fact that thousands of British businesspeople miss out on thousands of pounds each year due to failing to claim what’s rightfully and legally owed to them by the HMRC. Tax refunds occur when the liability is less than the taxes one has paid. For example due to CIS tax refunds, construction workers who are self-employed in the Construction Industry Scheme can claim tax refunds on a lot of things; including meals, telephone bills, tools and clothing. Rather than hiring an expensive accountant to discern whether you’re owed anything by the HMRC, there are a range of cheaper specialist teams online. There’s a myth that bottled water is superior and healthier than tap water. In the majority of cases throughout Britain, this is but a myth and far from the reality. Tap water is just as good as bottled water and it costs next to nothing! Rather than spending your money on bottled water, simply turn on the tap. Buying lunch at work will set you back at least a fiver a day and almost double if you’re work’s based in some parts of London. That’s a minimum of £25 per week for the average worker and over £1200 per year! It’s much cheaper to instead buy your ingredients in bulk and pack your own lunch to work. It might be a hassle preparing your food in the mornings (or the night before if you’re more organised and wise) but packed lunch could save you around a grand each year.